FedEx’s new distribution centre is located in Kirkland Lake, this 29,000 square foot building consists of various loading docks, large assembly distribution centre, and general office area. Completed with gas-fired infra-red heaters, which provide heating for the assembly/distribution area to comfort the workers while large overhead doors open and close throughout the day as large trucks move in and out transporting parcels. The office areas are served with multiple condensing units and gas-fired furnaces. This one of a kind large-scale chicken hatchery incorporated the latest technology in this industry. 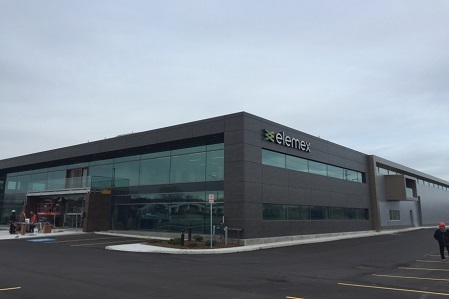 Integrated Engineering was part of this 45,000 square foot new build in Woodstock. This new build, involved the process of incubation, processing the chicks, vaccinating, and shipping/receiving rooms. With traditional rooftop units, unit heaters in the storage/loading dock areas, and two stand-by diesel generators. New fabrication/warehouse and office building located in the east end of london, this 26,000 sq ft building consists of two storeys of offices and a large assembly/manufacturing/warehousing space. Infra-red tube heaters provide the heating for the warehouse/assembly/manufacturing area to provide comfort to the workers while large overhead doors open and close continually throughout the day moving product in and out. The office areas are conditioned with multiple traditional gas-fired roof mounted HVAC units. Integrated Engineering was part of the large 21,000 square foot addition to the existing CNC turning and Milling building. The project included the design of mechanical and electrical building services and process systems in support of the manufacturing equipment. We provided the mechanical and electrical design, upgrading the existing HVAC systems. Providing new overhead industrial circulation fans, and new roof-top units for better comfort-ability for employees. We provided the electrical engineering services for a new 42,000 square foot addition to an existing industrial building to be used for the production of counter tops. 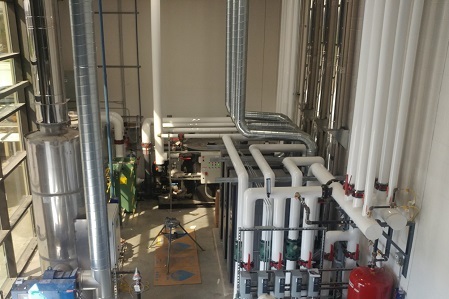 Integrated Engineering provided mechanical and electrical engineering services for a new addition to an existing facility. The 26,000 square foot administration and manufacturing area for the production of Soy Peanut Butter. Integrated Engineering provided the mechanical and electrical engineering for this Hot Stamping facility that house a warehouse and administration areas. The administration area is serviced mechanically with traditional rooftop units. The warehouse is provided with a gas monitoring system, infrared gas heaters, and wall mounted propeller exhaust fans. 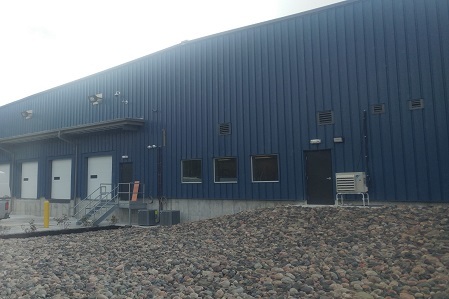 We provided the electrical engineering services for a new 22,000 square foot new warehouse building to be used for production of specialty blades and cutting systems for high tensile and high strength materials. Providing LED lighting, emergency lighting and power from an existing electrical main switchboard to a new bus duct, serving a new makeup area unit, transformer, and panel.